The Best UK Career Blogs from thousands of UK Career blogs in our index using search and social metrics. We’ve carefully selected these websites because they are actively working to educate, inspire, and empower their readers with frequent updates and high-quality information. London, UK About Blog We aim to inform, inspire and entertain recruiters, HR, jobseekers and anyone with an interest in the workplace. The blog is run by Link Humans, a social and digital marketing agency in London, UK. Facebook fans 22,479. Twitter followers 132,666. About Blog In 1995, reed.co.uk became the first recruitment website offered by a recruitment agency in the UK. Since then, reed.co.uk has branched out to become the UK's #1 job site. Follow this blog for expert career advice on CVs, cover letters, interviews and more. Facebook fans 120,234. Twitter followers 90,274. United Kingdom About Blog How To Become is all about helping you become what you want. We are the UK's leading career website where you will find relevant insider tips & advice on anything related to becoming what you want. We can help with providing training and information on how to complete application forms to psychometric testing and how to pass an interview. Facebook fans 20,463. Twitter followers 1,550. UK About Blog Useful, practical jobs and careers advice. Bubble is the UK’s leading award-winning jobsite for digital careers. The Bubble Career Portal is here to help you find your ideal digital career; whether you're a newbie thinking about breaking into the sector or just looking for your next move in the industry, we're here to support you with expert advice. Facebook fans 2,196. Twitter followers 12,357. About Blog Purejobs is one of the largest job portal & recruiting network dedicated to connecting recruiters & job seekers locally & globally. Probably the best career advancement; longer-term career strategies, branding and networking blog on the internet. Facebook fans 8,710. Twitter followers 4,789. London, UK About Blog Thinking about a career change? Get inspiration and a proven, step-by-step process to move into work you love - faster and with less stress. Facebook fans 8,356. Twitter followers 2,465. United Kingdom About Blog Bridgewater Resources UK provide tailored recruitment solutions across the UK and Ireland. Great articles for career-focused individuals and job seekers: business insights, CV tips, career advice, job search pointers and interview expertise. Facebook fans 1,731. Twitter followers 10,127. Coventry, UK About Blog This blog is edited and maintained by staff from Student Careers and Skills. The blog is aimed at all students from first years to taught postgraduates. Facebook fans 4,267. Twitter followers 7,922. London, UK About Blog Margaret Buj is an interview coach who helps professionals get hired, promoted & earn more. She blogs regularly about career and interview strategies. She is also a qualified Personal Performance & Corporate/ Executive Coach and can help you develop confidence and the attitude that will make it easier for you to get any job you want. Facebook fans 647. Twitter followers 2,098. Facebook fans 1,728. Twitter followers 2,725. 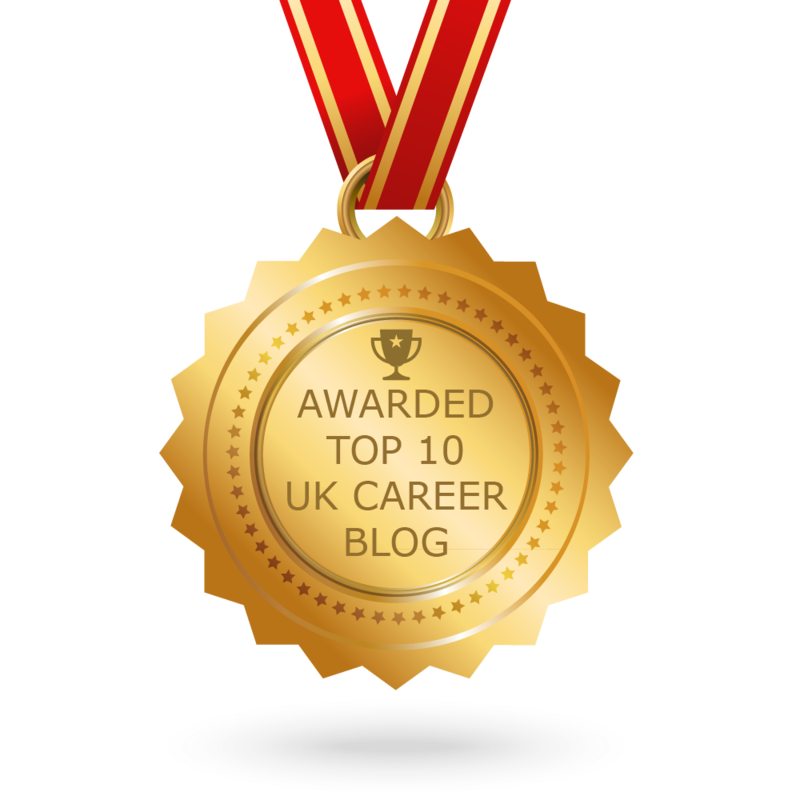 CONGRATULATIONS to every blogger that has made this Top UK Career Blogs list! This is the most comprehensive list of best UK Career blogs on the internet and I’m honoured to have you as part of this! I personally give you a high-five and want to thank you for your contribution to this world.